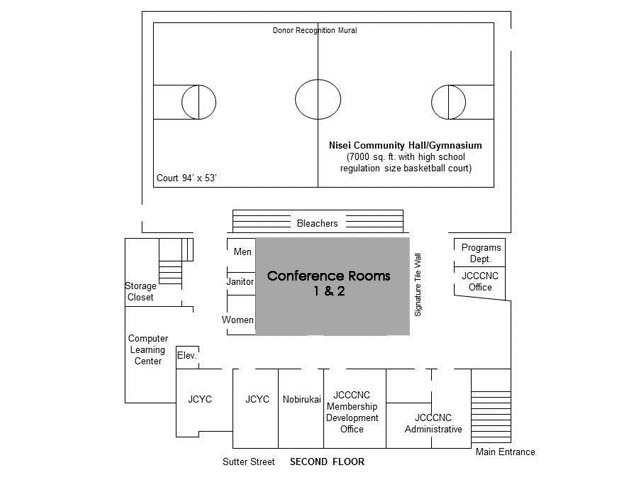 Whether you are looking to host a meeting, conference, workshop, social/family gathering, lecture or show a film, the JCCCNC is here to meet your needs. 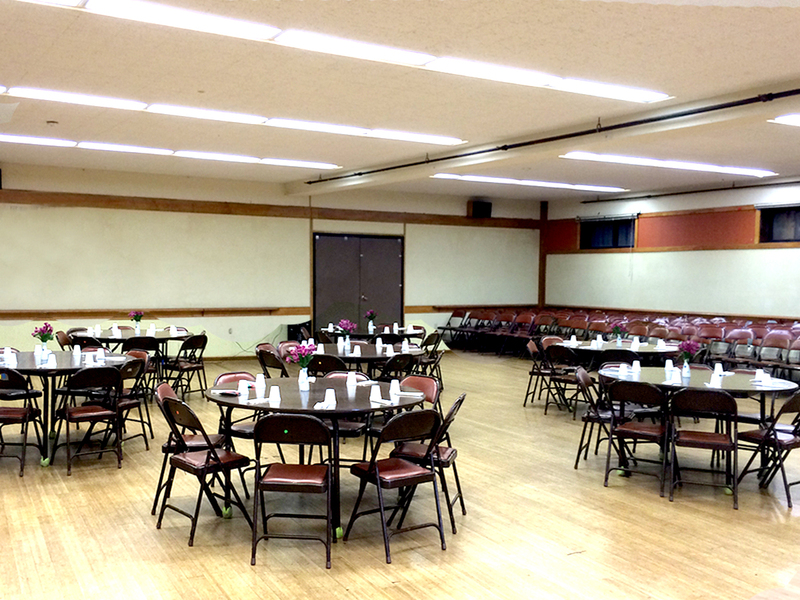 Are you looking for a place to hold your next meeting or event? 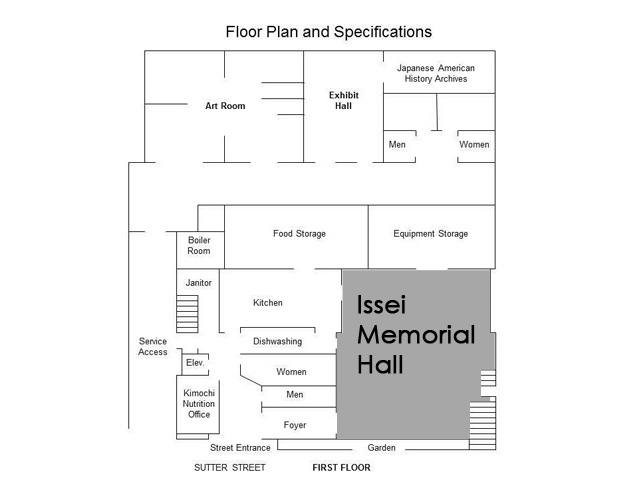 For more information or to request a room rental, please click the button to the right. 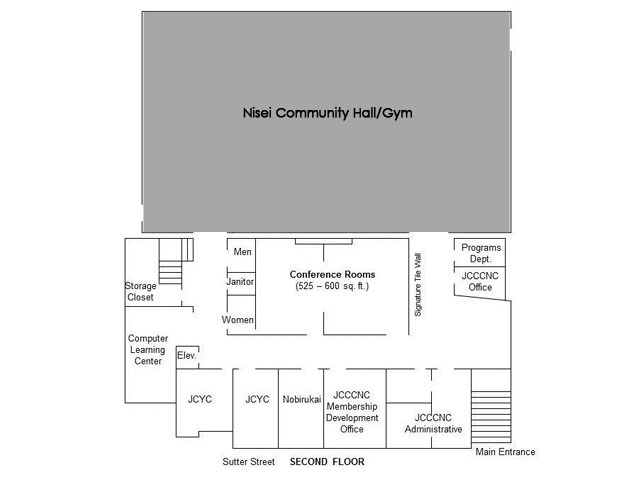 The Nisei Community Hall/Gymnasium is acoustically designed to accommodate all types of events including: performing arts, community events, exhibitions, lectures, banquets and social meetings. 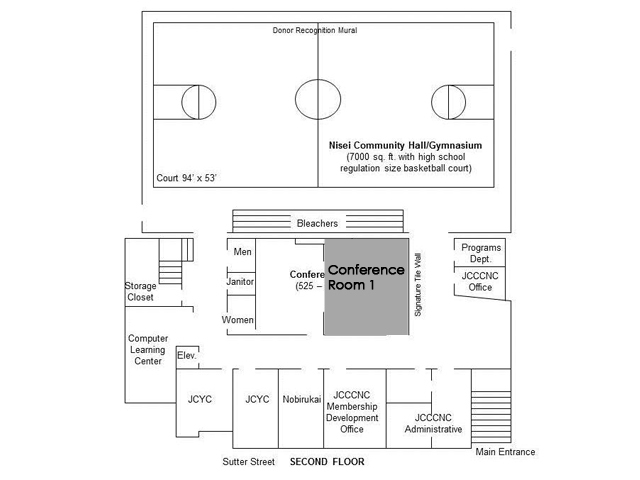 It is equipped with bleacher seating for 150 people and a full-size high school regulation basketball court with six basketball hoops. 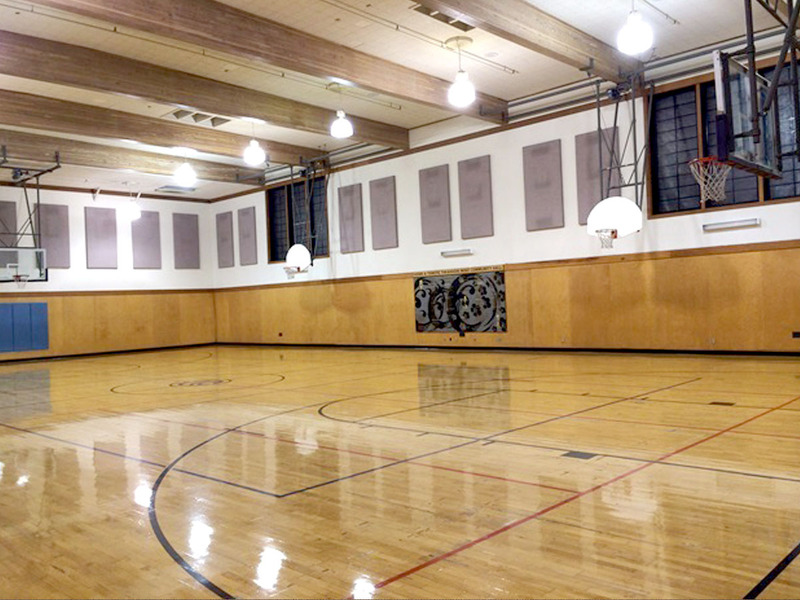 It is equipped with a fully functional house sound system capable of supporting four microphones at once.. 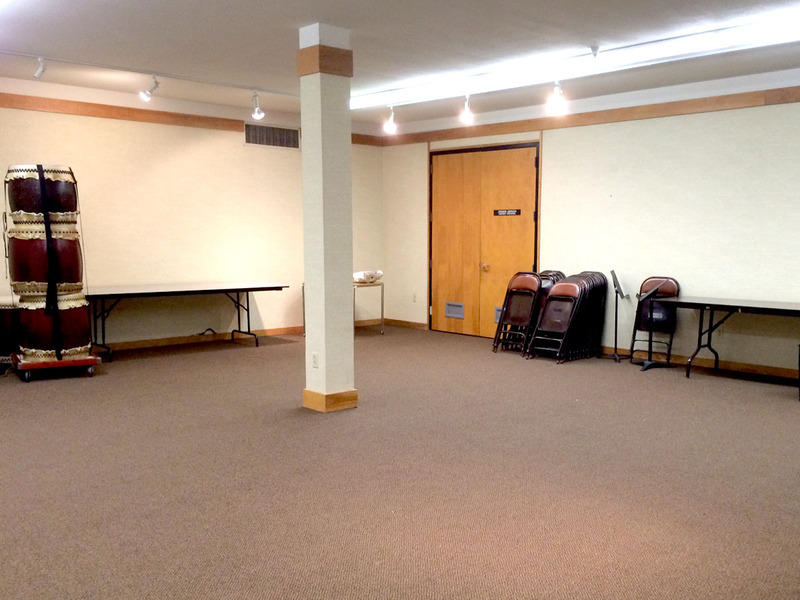 This is a perfect space for showing gallery exhibitions. 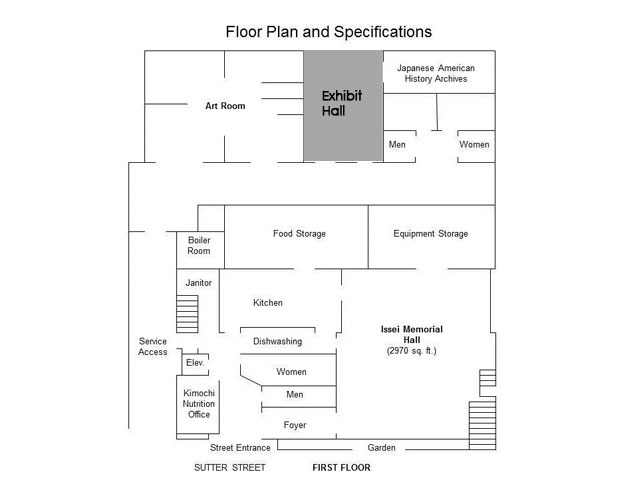 The Exhibit Hall is designed for easy installation with adjustable track lighting. 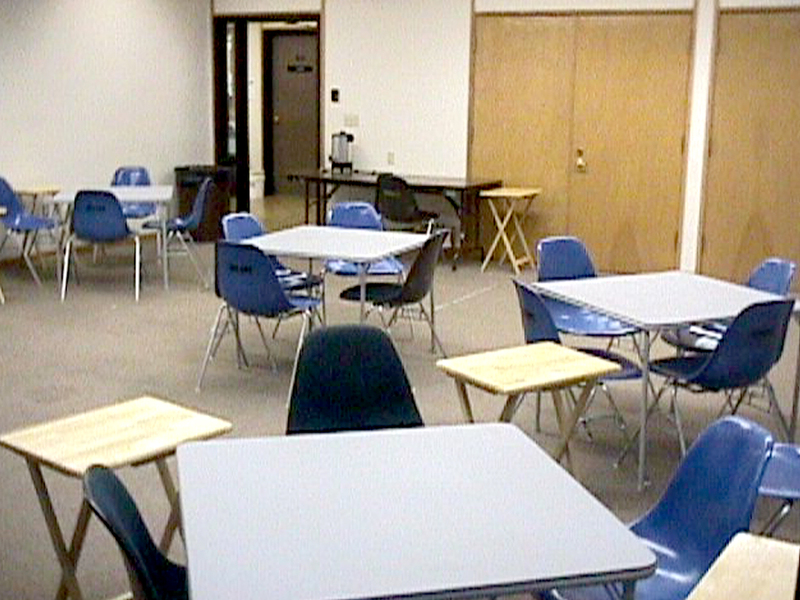 The room is also great for meetings, workshops or presentations. 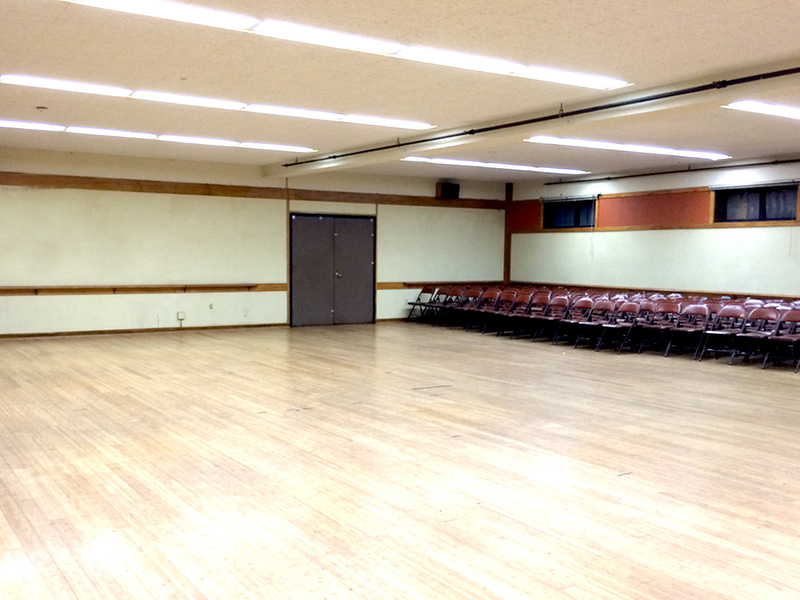 Located on the second floor, Conference Room 1 is great for presentations, meetings, classes, workshops, lectures, birthday parties or receptions. 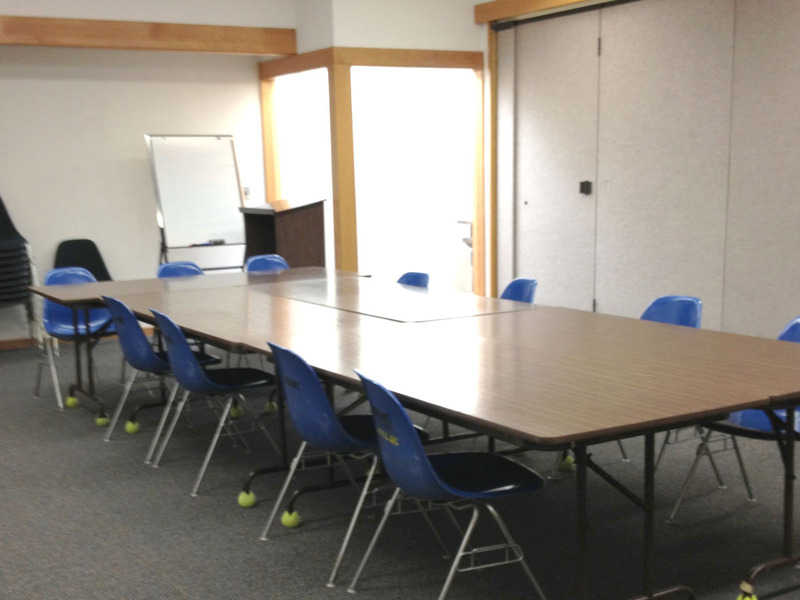 Located on the second floor, Conference Room 2 is ideal for smaller presentations, meetings, classes, workshops, lectures or receptions. 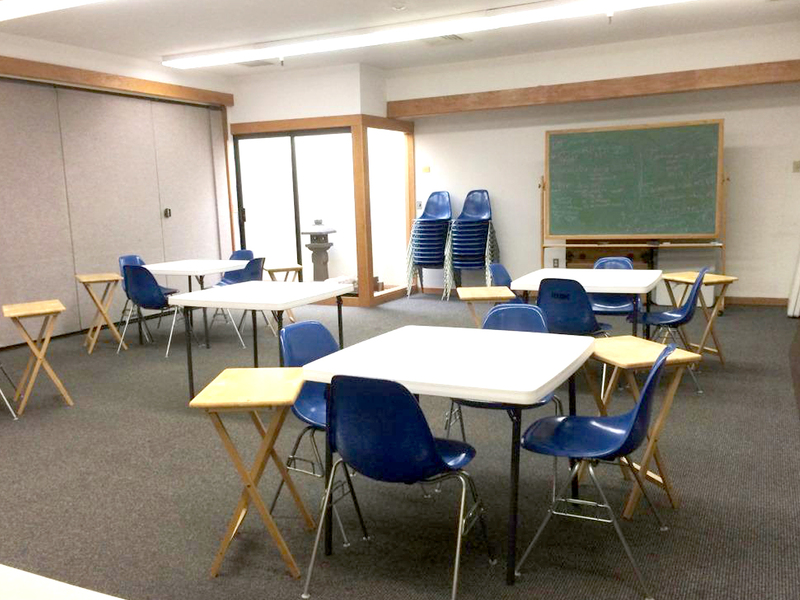 The expanded space of Conference Rooms 1 and 2 combined provide ample space for presentations, meetings, classes, workshops, lectures, birthday parties or receptions. 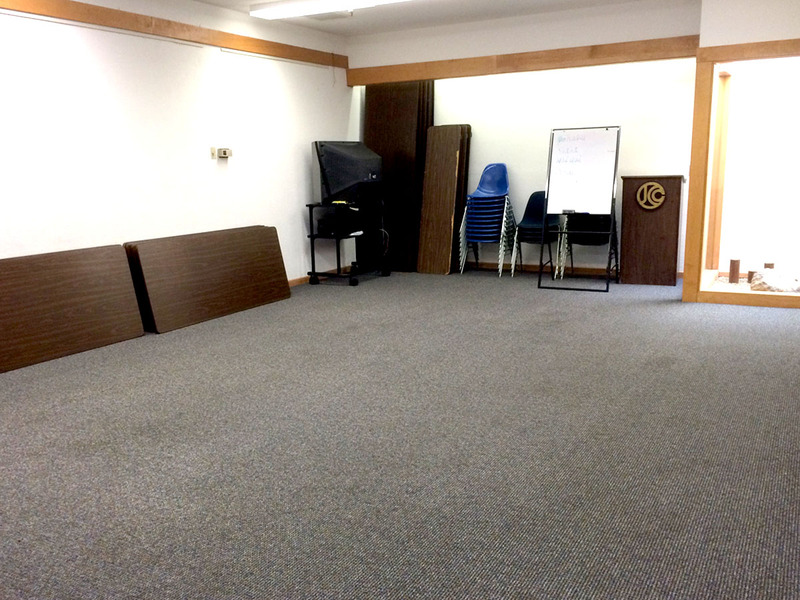 These rooms are ideal for events that include the need for smaller group sessions in the same room.